For the second year in a row, James Patterson will give "holiday bonuses" ranging from $1,000 to $5,000 (for a total of $250,000) to independent booksellers, Bookselling This Week reported. He is partnering with the American Booksellers Association for the Holiday Bonus Program. 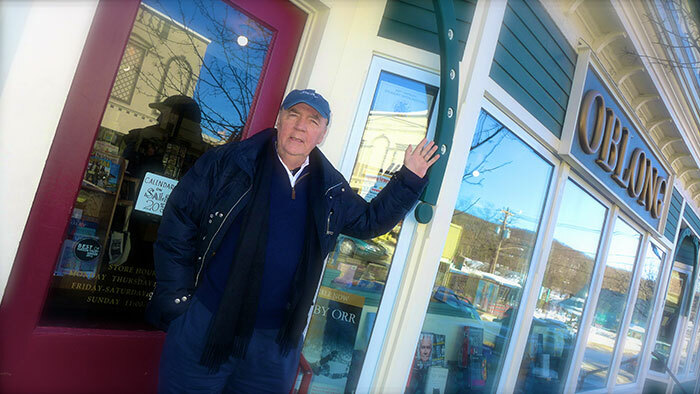 James Patterson outside Oblong Books, Millerton, N.Y.
"Booksellers can change lives simply by recommending the right book, and these bonuses are my humble acknowledgement of the important work they do," Patterson said. "I saw firsthand what these bonuses did to help bookstores and their employees last year, and I hope they make even more of a difference this holiday season." 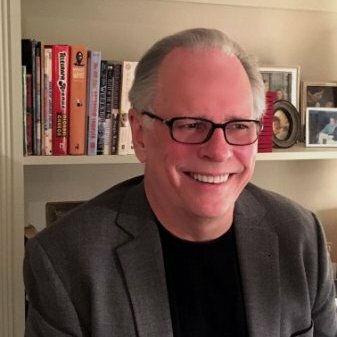 Oren Teicher, CEO of the ABA, said, "We are once again extremely grateful to James Patterson for his ongoing commitment to literacy and to independent booksellers nationwide, who throughout the year are promoting the essential value of reading and books by working to connect authors and readers of all ages. The return of James Patterson's Holiday Bonus Program for a second year is a wonderful way to acknowledge those booksellers, who are dedicated to improving people's lives through the power of reading. On behalf of all ABA members, we extend our sincere thanks to James Patterson for his unwavering support." Anyone, from bookstore customers to booksellers to industry professionals, can nominate a bookstore employee. The nomination form, which is open through November 1, consists of one question: "Why does this bookseller deserve a holiday bonus?" Patterson will select the bookstore employees to receive bonuses, and the full list of winners will be announced in December. The 87 booksellers who received bonuses from Patterson in 2015 are not eligible to receive a bonus this year. Abrams has created Abrams Plus, a new business group comprised of Noterie, Abrams's gift and stationery line, as well as Abrams's calendar, e-book and digital businesses. Jess M. Brallier has joined the company as v-p and publisher of the new group. "The businesses that make up Abrams Plus are now formally recognized as an integral publishing unit at Abrams and well positioned for accelerated growth and innovation under Jess' leadership," commented Abrams president and CEO Michael Jacobs. "With the creative team currently in place as well as stellar resources from our design, production, managing editorial, sales, and marketing departments, Abrams Plus is poised to excel." Brallier has a long career as an author and as a marketing and publishing executive at Little, Brown, Addison-Wesley and Penguin, including publisher and president of Pearson's digital consumer business, Family Education Network. "Abrams has an enduring record of serving readers, making beautiful books and gifts and advancing the industry," Brallier said. "I'm honored to join Abrams and excited for the opportunity to contribute to its future growth. This is going to be fun!" In related changes, Lindy Humphreys, currently head of Abrams's e-book and digital publishing, has been promoted to associate publisher, Abrams Plus. Humphreys, along with Karrie Witkin, editorial director of Abrams Noterie, and Miriam Tribble, editorial director of calendar publishing programs, will report to Brallier. Harlequin is launching Graydon House Books, a hardcover and trade paperback imprint that will specialize in commercial women's fiction with "a relationship element woven through," the publisher said. "Stories will range in tone from lighthearted humor to emotional tearjerkers and edgier drama." The first titles will appear in September 2017; the imprint will be led by Dianne Moggy, v-p, editorial, and Susan Swinwood, executive editor. "We're seeing a real shift towards bigger, more layered commercial fiction where the characters are dealing with a variety of relationships--with siblings, spouses, friends, lovers--and that's where Graydon House's focus will be," Swinwood said. "The unconventional love story, modern relationship fiction, with topical issues for book club discussions, women coping with the ups and downs of life, careers, dating, marriage, divorce, even death." Loriana Sacilotto, executive v-p, global publishing and strategy, called the launch of Graydon House Books "the next phase of a plan to significantly expand our hardcover and trade paperback fiction publishing program." The first titles from Graydon House include How to be Happy by Eva Woods, Before I Let You Go by Kelly Rimmer, Now That You Mention It by Kristan Higgins, Perfectly Undone by Jamie Raintree, House of Shadows by Nicola Cornick, My Last Love Story by Falguni Kothari, Best Day Ever by Kaira Rouda and Burned by Emily Belden. Graydon House is named after the historic Georgian mansion that once stood on the 100-acre property in north Toronto where Harlequin's offices are located. Mike Shatzkin, the longtime book publishing consultant and guru, who founded and is head of the Idea Logical Company, outlined on his blog some major changes he's making in his business life. As of October 1, Logical Marketing, the digital marketing company he built over the past several years with Pete McCarthy and Jess Johns, has been sold to OptiQly, a new company that is focused on "optimizing the display and sales of books, e-books, and other products at online retailers." McCarthy and Johns are joining OptiQly as chief product officer and director of marketing, respectively. Shatzkin will advise the company and be on the board. The CEO of OptiQly is Evan Schnittman, former executive v-p, chief marketing and sales officer at Hachette Book Group. 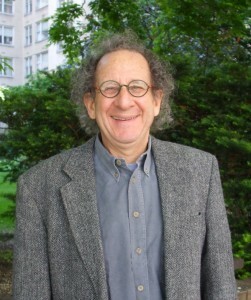 Shatzkin continued: "My interest and involvement in trade publishing is a permanent condition, so I'll definitely still be consulting, helping fledgling publishers and tech start-ups with a publishing angle as well as a few mainstay companies that value my knowledge and insight." But he added, he plans to devote his "business development" energy to working on climate change. This will include "some initiatives I'm not quite ready to talk about yet, but it largely means seeking out experts on various aspects of the subject and helping them put together book projects that will spread the messages that are most critical to humanity's survival, which, unfortunately, doesn't seem to be the sure thing it was when I started my working career." Shatzkin is also writing about the book business for Oxford University Press's What Everyone Needs to Know series with Robert Riger. "We've had a wonderful time interviewing executives throughout the industry, always intending to do the lion's share of the writing in Q4. Now my decks are a bit clearer to do just that." Congratulations and godspeed! The ABA's American Booksellers for Free Expression is asking booksellers to help plan next year's Banned Books Week by filling out a short survey on their experiences during this year's event, which ended last Saturday. This year more than 500 bookstores had displays of banned and challenged titles, and seven stores put on a joint event, "A Night of Silenced Voices," which was held on the second day of Banned Books Week. "We always want to be trying new things, and the bookseller feedback we get from our surveys always provides input and suggestions that make Banned Books Week more successful," said ABFE director Chris Finan. The survey will ask about expanding the idea of joint programming next year, evaluate the promotional kit that ABFE distributes to participating stores, and seek other suggestions for improving Banned Books Week. To commemorate its first year housing all seven publishing divisions under one roof on London's Victoria Embankment, Hachette U.K. unveiled "a large-scale mural at Carmelite House, described as a 'river of authors' to celebrate its past, present and future," the Bookseller reported. 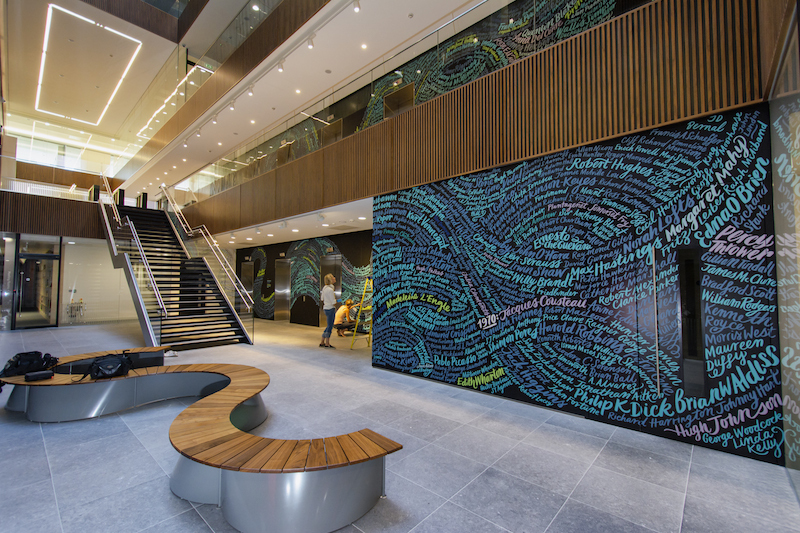 The mural, which was designed by artist Kate Forrester and created by the Graphic History Company, "runs from the lower ground floor through common parts of the building, the lobbies and staircases of Carmelite house, up to the roof terrace." Hachette U.K. CEO Tim Hely Hutchinson said: "I didn't think Carmelite House could get any better but it just has. I was stunned this morning to see the final piece of work, the timeline and that gorgeous photograph of St. Pauls during the Blitz. We all feel so honored to work on this special place with its roots in a distinguished past and its promise of a brilliant future.... One name after another stands out and strikes you. And the whole gives an immense impression of enfolding the onlooker into a great and continuing history. What a triumph." 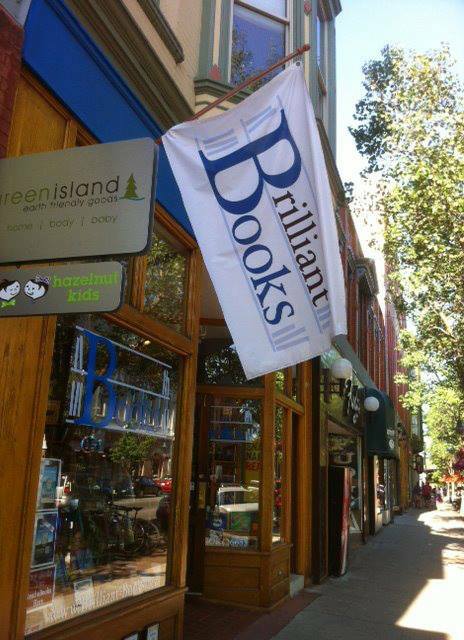 Brilliant Books, Traverse City, Mich., whose Monthly Selection Service has nearly 2,000 subscribers. Owner Peter Makin told the Times that the selection process can take "an awfully long time, but the technology allows us to make this happen." Sales are up 14% this year and an estimated 30% of sales will come from online orders, double last year. The store is also active on Twitter and Facebook; social media manager Aimee Jodoin commented: "We're in the 21st century and we're a 21st century bookstore. Shop small is the way to beat Amazon. People are going to shop online, so we have an online presence." The Last Bookstore, Los Angeles, Calif., the striking 22,000-square-foot store downtown, has 24,000 followers on Instagram, where staff picks "frequently" become the store's bestsellers. "We're part of a downtown that is booming and gentrifying, so we've [paid] a lot of attention to our geography," manager Katie Orphan told the paper. "We didn't expect that it would lead to the Instagram attention that we have had." BookCourt, Brooklyn, N.Y., which discontinued event streaming and author interview podcasts because "the staff time required to produce them did not justify the demand," but has found that communicating with customers via social media and an e-mail newsletter (where the most-read stories are about events and staff picks) has been "the best tool for reaching customers and finding sales," according to events and publicity manager Andrew Unger. Wild Fig Books and Coffee, Lexington, Ky., whose online character Barista Barbie, created by Ron Davis, an owner of the store and a visual artist, has become wildly popular. The store posts photos featuring the Barbie doll reading books, enjoying coffee and offering sassy commentary. "One of our grandchildren took her out of the store so there was a whole thing about 'Where is Barista Barbie? Has she been kidnapped?' " co-owner Crystal Wilkinson told the Times. ABA CEO Oren Teicher commented: "Bookstores are being reinvented by taking advantage of how the world has changed. The whole ability to put technology to work for you has changed everything." 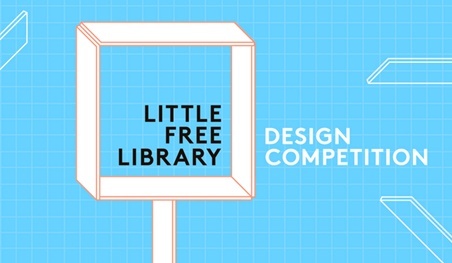 Chronicle Books is seeking big ideas for its Little Free Library Design Competition. The contest, held in conjunction with the Little Free Library organization and the AIASF (the American Institute of Architects' San Francisco chapter), was inspired Chronicle's giveaway of two in-house designed Little Free Libraries last year, which prompted a surge of interest from communities that want their own tiny book depositories. Entrants are eligible for one of three prizes: Stewards Choice (decided by the Little Free Library Community), Chronicle Books Choice (decided by the publisher, and may be eligible for reproduction) and Judge's Choice (decided by Chronicle's Michael Carabetta and Sara Schneider, alongside Brett Randall Jones from David Baker Architects, Christina Jenkins from architecture education program Project H, and team members from architecture firm Snøhetta). Winners will receive a library of architecture books published by Chronicle and assistance constructing their design. 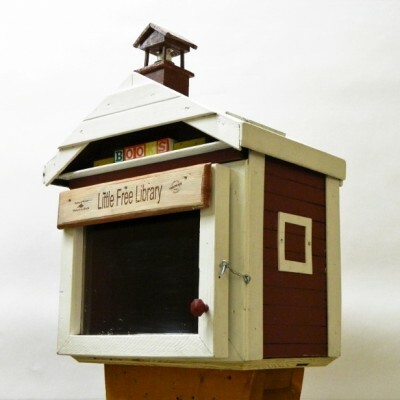 Chronicle surveyed 40,000 Little Free Library users to determine the challenges, rewards and desired features of little libraries, like protecting books from the environment, nighttime usability and leash hooks for dog walkers. "Design is very important to us here at Chronicle Books, so this is a chance to extend a commitment to excellence in design beyond books and into the spaces in which they are enjoyed," said associate marketing director of online strategy Kathryn Jaller. "Little Free Libraries are such a pure expression of the care and connection that reading inspires, and we hope this challenge inspires designers, architects, and doodlers to channel the magic of books into creations that can make a real impact." For more information, including submission guidelines and specific features sought by Little Library stewards, visit the contest's website. Submissions will be accepted through November 11. Kate Reingold has been named events coordinator for adult titles at Sasquatch Books, working with cookbook and nonfiction authors and venues to schedule events. She was formerly marketing coordinator. The Inquisitor's Tale by Adam Gidwitz (Listening Library), an audiobook featuring a full cast, including the author, and original music by medieval musician and scholar Benjamin Bagby. Late Night with Seth Meyers: Chris Eliopoulos, illustrator of I Am George Washington and I Am Jane Goodall, the latest books in the Ordinary People Change the World series from Dial Books. Rachael Ray: Lindsey Vonn, author of Strong Is the New Beautiful: Embrace Your Natural Beauty, Eat Clean, and Harness Your Power (Dey Street, $27.99, 9780062400581). The View: Elizabeth Vargas, author of Between Breaths: A Memoir of Panic and Addiction (Grand Central, $27, 9781455559633). Fox News's Greg Gutfeld Show: Trae Crowder, Corey Ryan Forrester and Drew Morgan, authors of The Liberal Redneck Manifesto: Draggin' Dixie Outta the Dark (Atria, $25, 9781501160387). Late Late Show with James Corden repeat: David Duchovny, author of Bucky F*cking Dent: A Novel (Farrar, Straus & Giroux, $26, 9780374110420). 10 p.m. Mary Thompson-Jones, author of To the Secretary: Leaked Embassy Cables and America's Foreign Policy Disconnect (Norton, $27.95, 9780393246582). (Re-airs Sunday at 9 p.m. and Monday at 12 a.m. and 3 a.m.). 8 p.m. Dan Slater, author of Wolf Boys: Two American Teenagers and Mexico's Most Dangerous Drug Cartel (Simon & Schuster, $26.95, 9781501126543). 11 p.m. Joseph Lelyveld, author of His Final Battle: The Last Months of Franklin Roosevelt (Knopf, $30, 9780385350792). The Canada Council for the Arts has announced finalists in 14 English- and French-language categories for this year's Governor General's Literary Awards, Quillblog reported. Category winners, who will be named October 25, are awarded C$25,000 (about $18,965). A complete list of this year's English-language finalists is available here. Marta Eidsvåg won the £1,000 (about $1,275) Harvill Secker's Young Translators' Prize, the Bookseller reported, noting that the prize "also includes a selection of Harvill Secker titles, a Writers' Centre Norwich Emerging Translator Mentorship with translator and judge of this year's prize Don Bartlett, admittance to an event at Crossing Border festival in November" and seeing her award-winning translation published by Granta online. The chosen language for the 2016 prize was Norwegian, and entrants were asked to translate a short story by Merethe Lindstrøm; "Svømme under vann" ("Swimming Under Water") from her collection of the same name. A Life in Parts by Bryan Cranston (Scribner, $27, 9781476793856) is the memoir of the acclaimed TV, film and stage actor. QB: My Life Behind the Spiral by Steve Young and Jeff Benedict (Houghton Mifflin Harcourt, $30, 9780544845763) chronicles the quarterback's life and football career. Hungry Heart: Adventures in Life, Love, and Writing by Jennifer Weiner (Atria, $27, 9781476723402) is a fiction author's first essay collection. The Mothers: A Novel by Brit Bennett (Riverhead, $26, 9780399184512) follows a teenage romance and its aftermath in a Southern California community. Order to Kill: A Novel by Vince Flynn and Kyle Mills (Atria/Emily Bestler, $28.99, 9781476783482) is book 13 in the Mitch Rapp thriller series. The Midnight Star by Marie Lu (Putnam, $18.99, 9780399167850) concludes the Young Elites YA trilogy. The Plots Against Hitler by Danny Orbach (Eamon Dolan/Houghton Mifflin Harcourt, $28, 9780544714434) looks at the many doomed attempts to assassinate Adolf Hitler. Tetris: The Games People Play by Box Brown (First Second, $19.99, 9781626723153). The Expatriates: A Novel by Janice Y. K. Lee (Penguin Books, $16, 9780143108429). Darktown: A Novel by Thomas Mullen (Atria/37 INK, $26, 9781501133862). "Darktown is a knockout novelization of the history of Atlanta's first black police officers, who were appointed in 1948. Deftly merging social history with crime fiction, the story follows two of the new recruits as they secretly investigate the murder of a young black woman. It is a mission fraught with danger as the black officers come up against bigoted white officers and the insidious racism of an Atlanta still under Jim Crow. Mullen spins an immersive tale out of this friction, and it is his willingness to engage with this time period and to let its ugly realities shape and inform the course of the investigation that elevates this novel from a standard procedural." --Nneoma Amadi-Obi, Politics & Prose Bookstore and Coffeehouse, Washington, D.C.
Lady Cop Makes Trouble: A Kopp Sisters Novel by Amy Stewart (Houghton Mifflin Harcourt, $26, 9780544409941). "Stewart's follow-up to Girl Waits With Gun is equally fascinating. Based on the life of Constance Kopp, the first female deputy sheriff in New Jersey, this tale takes readers from rural New Jersey to the mean streets of New York City in 1915. With grit, smarts, and utter determination, Constance tracks a convict who escaped her custody. Despite the astounding restrictions on a woman's life in the early 20th century, Constance takes every risk to capture her suspect. Complemented by the historical notes that Stewart provides, Lady Cop is both informative and loads of fun." --Kathy Kirby, Powell's Books, Portland, Ore.
Children of the New World by Alexander Weinstein (Picador/Macmillan, $16, 9781250098993). "These realistic scenarios, set in a not-too-distant future, made me really think about all the technology I've come to depend on in my everyday life. You'll want your book club to read it, plus your significant other and your neighbor. You'll want to share this excellent book so you can keep thinking about it and talk about it, too." --Sue Roegge, Chapter2Books, Hudson, Wis. Animals Should Definitely Not Wear Clothing by Judi Barrett, illustrated by Ron Barrett (Atheneum, $7.99, 9780689708077). Originally published in 1970. "Why should animals NOT wear pants, dresses, and ties? Because it could be disastrous, embarrassing, and absolutely ridiculous. Why should you DEFINITELY share this book with young readers? Because it is a fun read-aloud, a great book for new readers, and full of silly illustrations that will keep everyone laughing." --Holly Weinkauf, Red Balloon Bookshop, St. Paul, Minn. The Adventurer's Guide to Successful Escapes by Wade Albert White (Little, Brown, $16.99, 9780316305280). "Anne has been an orphan living a depressing life at the St. Lupin's Institute for Perpetually Wicked and Hideously Unattractive Children for almost 13 years. Middle-school readers, many of whom have read Harry Potter, will like the adventures and fast-paced action that takes place in this story." --Kathy Taber, Kids Ink Children's Bookstore, Indianapolis, Ind. Ghostly Echoes: A Jackaby Novel by William Ritter (Algonquin, $17.95, 9781616205799). "Once again, Jackaby and Abby are on the case. This time they are looking into the murder of their resident ghost, Jenny. What seems like an uninteresting case to Jackaby quickly turns into something more sinister. There is a plot afoot that is ensnaring the mayor and the leading scientists of the day. Bodies are turning up and the magical creatures that appear are getting more terrifying. This is a great addition to the Jackaby series, and I can't wait to see what happens next." --Janice Hunsche, Kaleidosaurus Books, Metamora, Ind. David Wood was raised a Quaker, did civilian service during the Vietnam War, and became a war journalist after his first assignment to a war zone in 1977. "Having once acted on my conviction that war was morally abhorrent, and having been accorded the government-certified status of conscientious objector, I found war itself to be irresistible." He has been a war reporter for 30 years. "At war I have seen Americans at their best. In a very personal way, I admire and honor their service. Eventually though, I could no longer ignore the nagging sense that... I was looking away from the dark side of war which was causing real damage to the men and women I knew." 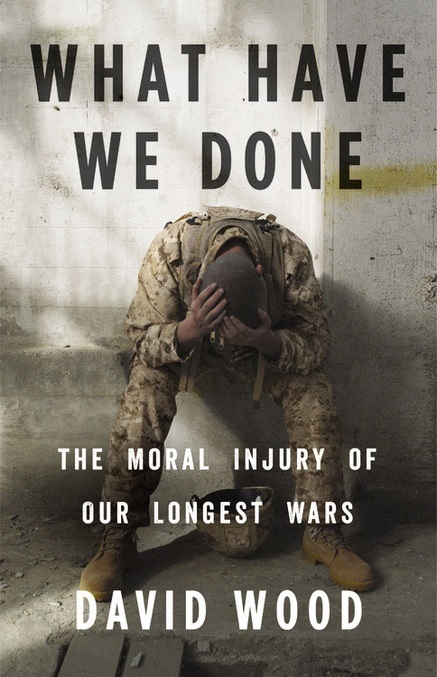 In his first book, What Have We Done, Wood argues that we have failed to prepare our military troops adequately for the moral shocks and dissonance of war, not supported them during their service and neglected to care for them when they return. "Moral injury" describes the emotional reactions that come with reflection after someone returns from war to safety. "Sorrow, remorse, grief, shame, bitterness and moral confusion--What is right?--signal moral injury, while flashbacks, loss of memory, fear, and a startle complex seem to characterize PTSD." Wood focuses on the long wars in Iraq and Afghanistan because they were our first major conflicts fought entirely with an "all-volunteer" military, which "meant that those who chose to stay home mostly remained ignorant of who served and why." It also meant that because this volunteer military is smaller, its men and women get only brief rests between long deployments, never enough time to recover physically and mentally. Rates of mental illness, suicide and violent crime among active troops and veterans have soared during these wars. U.S. military training is "the most realistic and thorough combat training in the world," but offers no preparation for the extreme ethical challenges of warfare, instead requiring strict obedience to values and creeds that "thrust its troops into conditions of intolerable moral dissonance." Wood provides an overview of the history of responses to moral injury. He interviews soldiers, marines, mental health practitioners and researchers, including the navy psychiatrist who developed the idea that moral injury is a literal wound, and the therapist who created an effective treatment model for the specific needs of combat veterans. Shelf Talker: A veteran war reporter examines the relatively recent understanding of moral injury as a literal combat wound that requires acknowledgement and treatment.